I think everyone in San Francisco has been enjoying the spring these past days. The wether has just been too good to stay inside. We have done our best to soak in the sun. We had a stroll down Clement and had a beer in the sun and the day after we had a super fun picknick with friends by the Conservatory of flower. 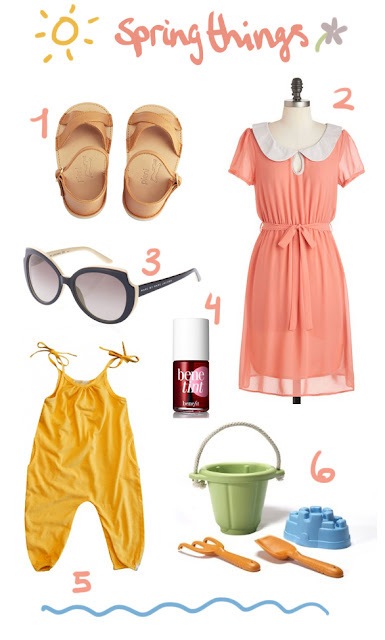 Today is rainy so I decided to put together a sunny spring things list for me and Ylfa to forget about the rain.